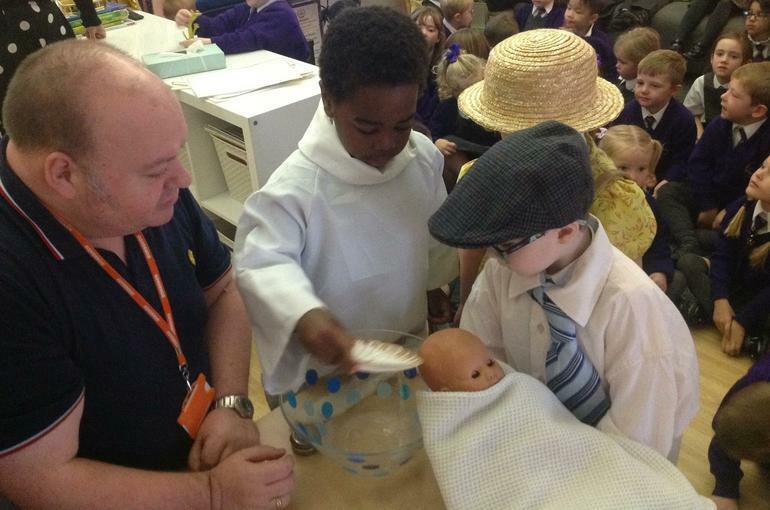 Baptism - Welcome to God's family! 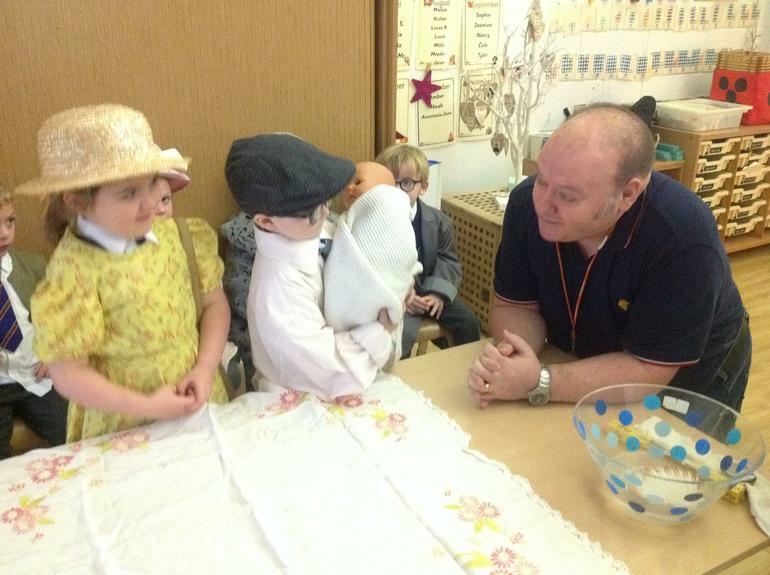 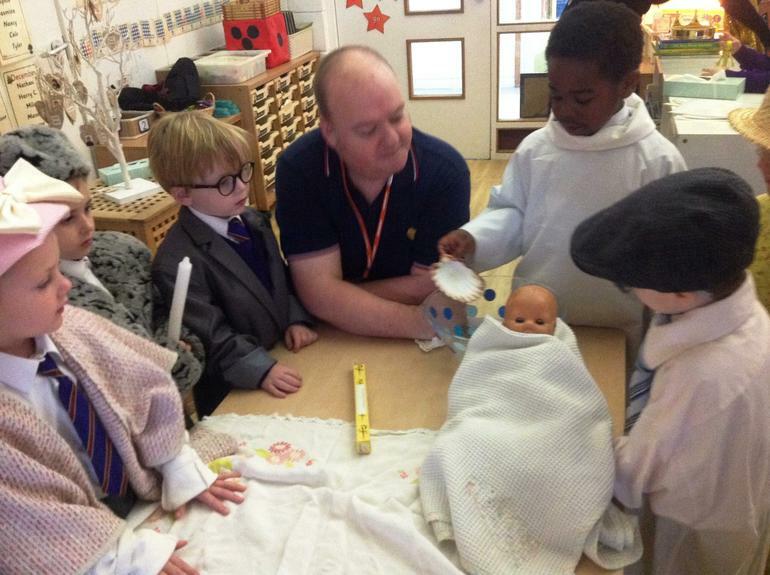 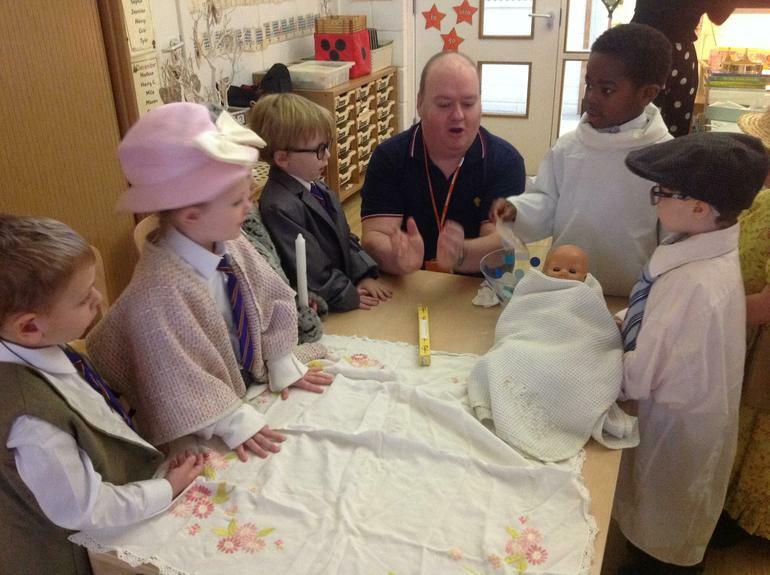 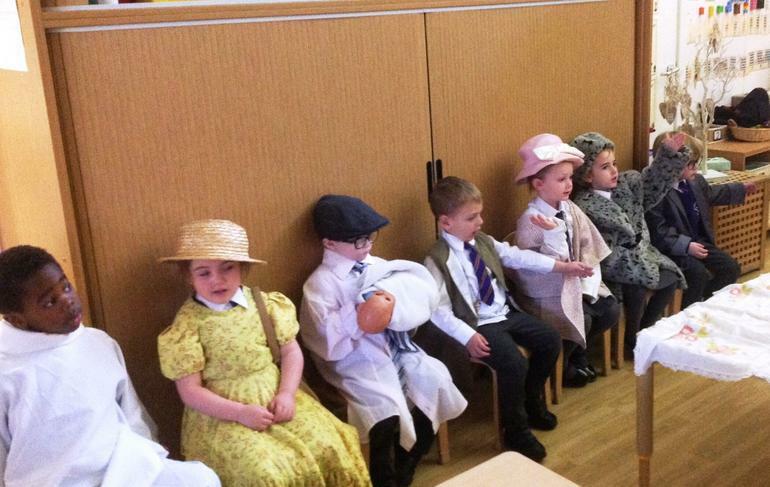 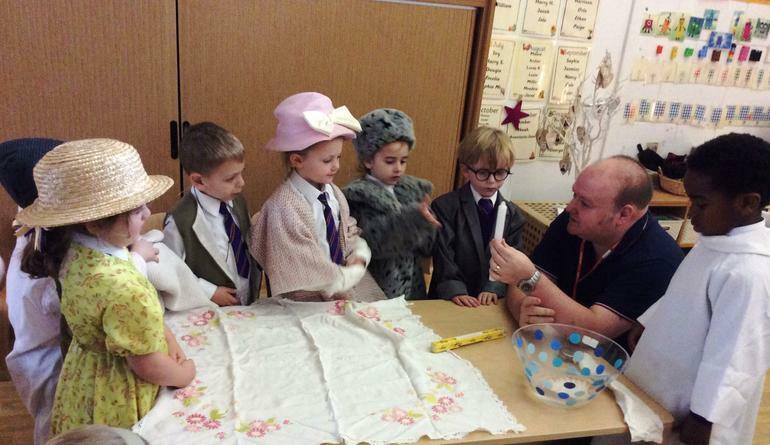 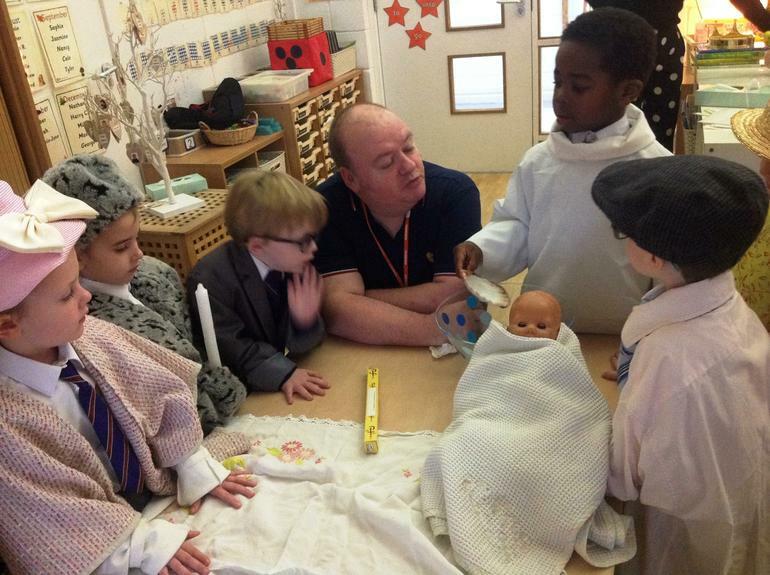 Deacon Housbey brought some special objects from Our Lady Queen of Martyrs Church to help us baptise our baby doll as we continue our RE topic of 'Welcome'. 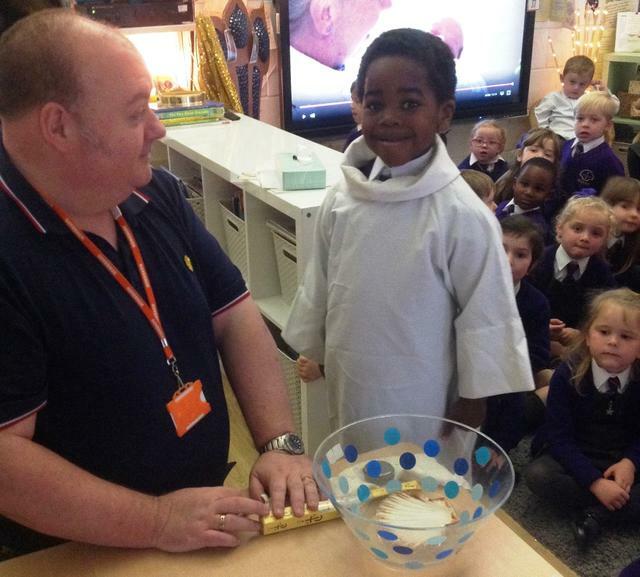 We learnt that during the Baptism ceremony, we are welcomed into God's family and this is the beginning of our 'journey of faith' with Jesus. 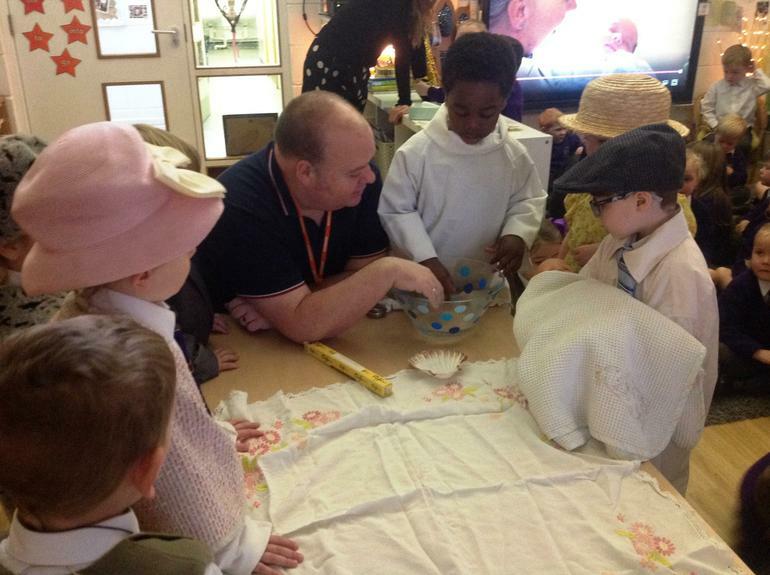 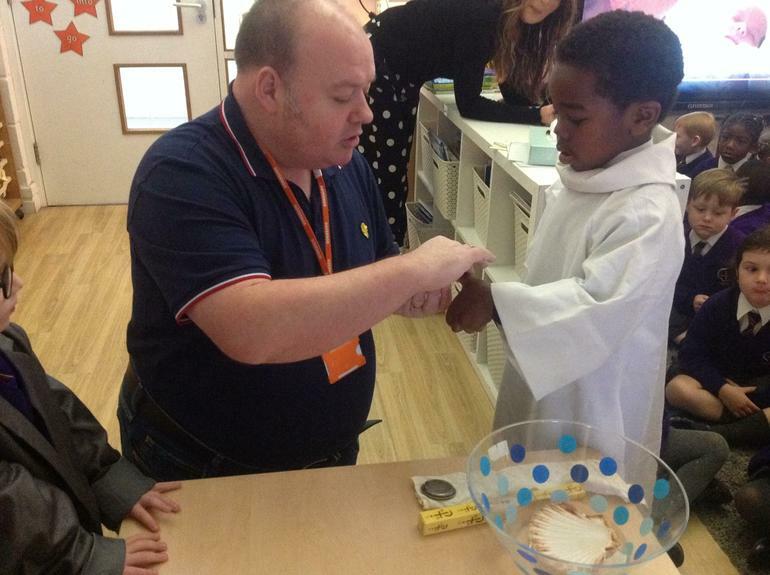 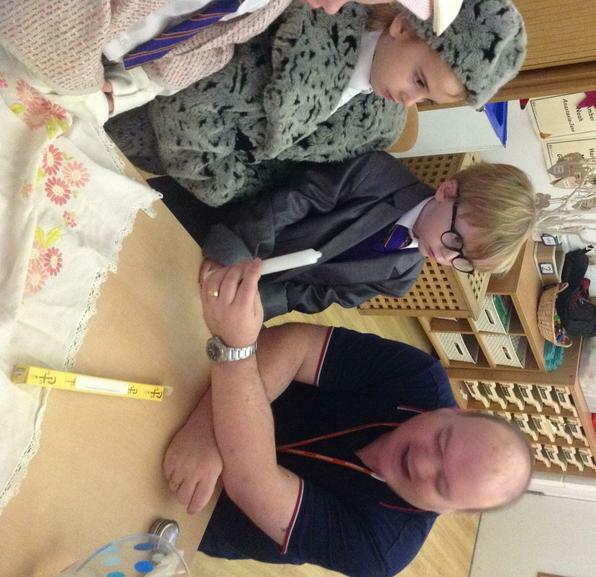 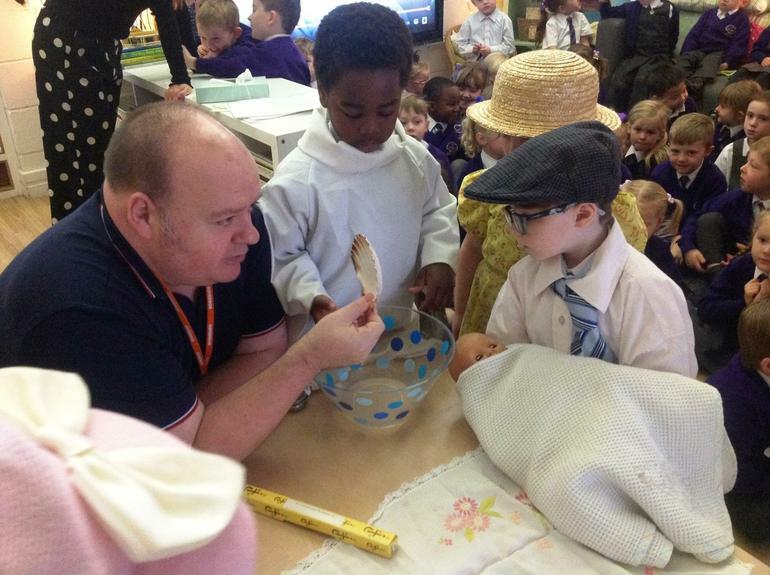 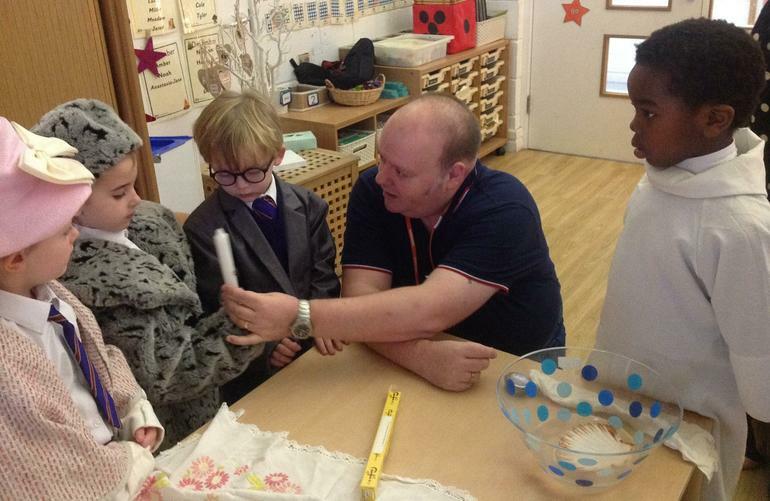 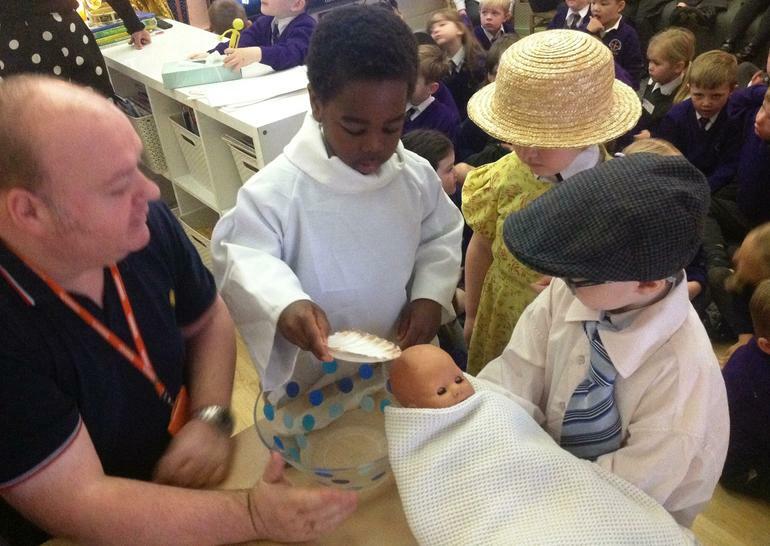 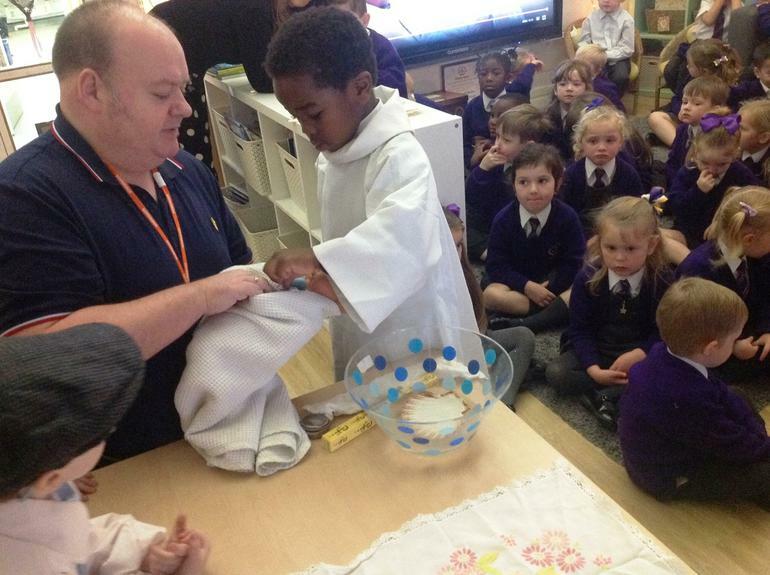 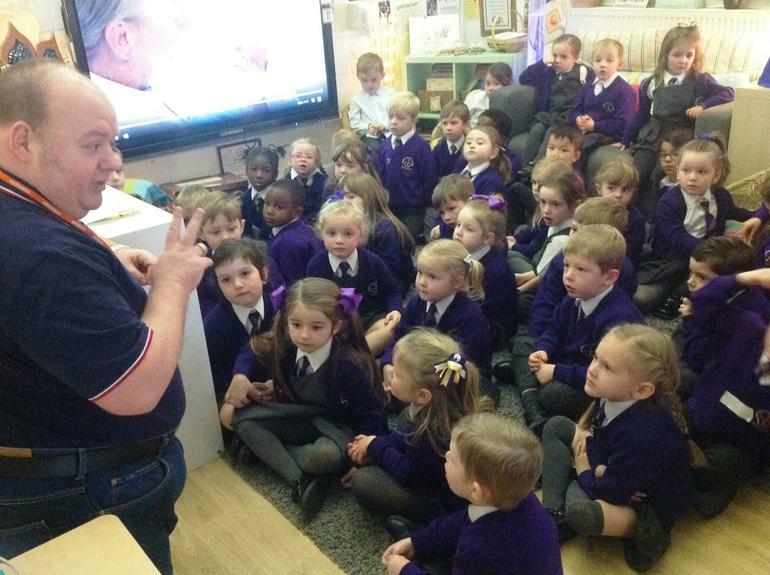 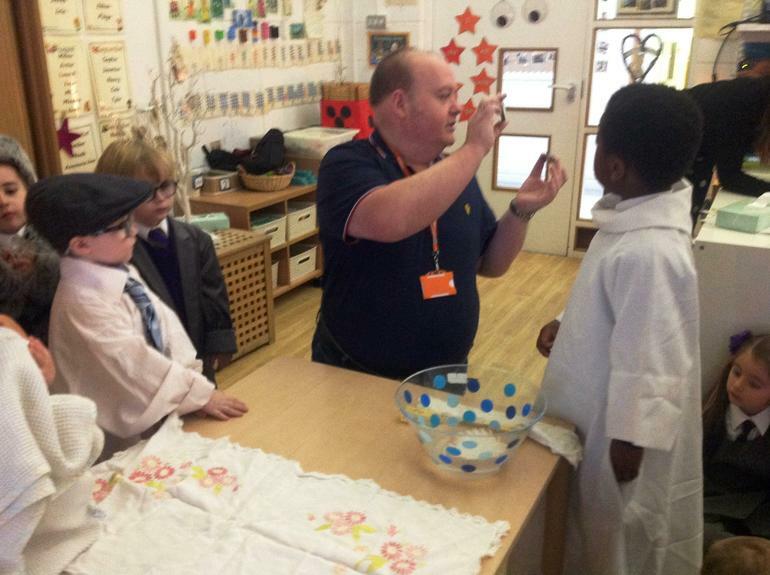 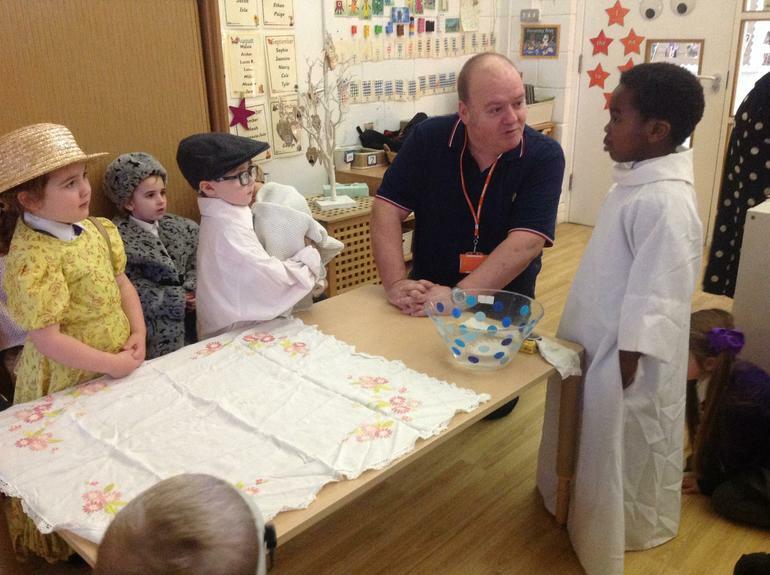 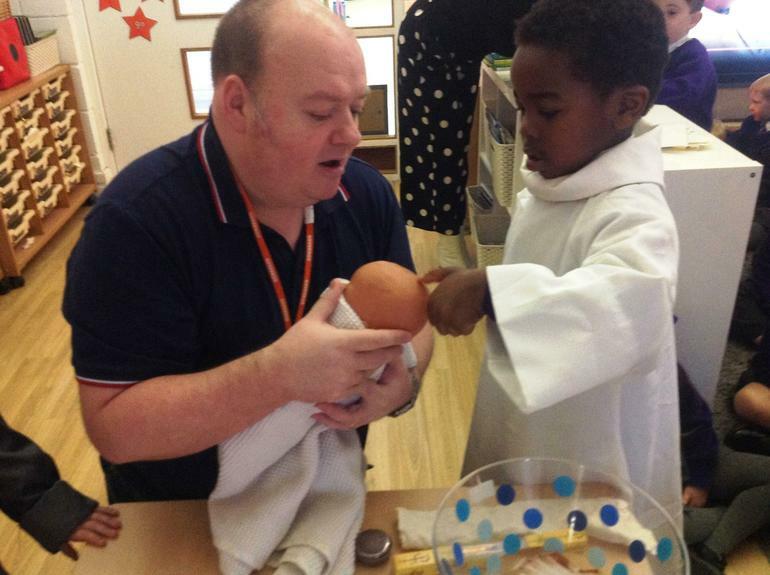 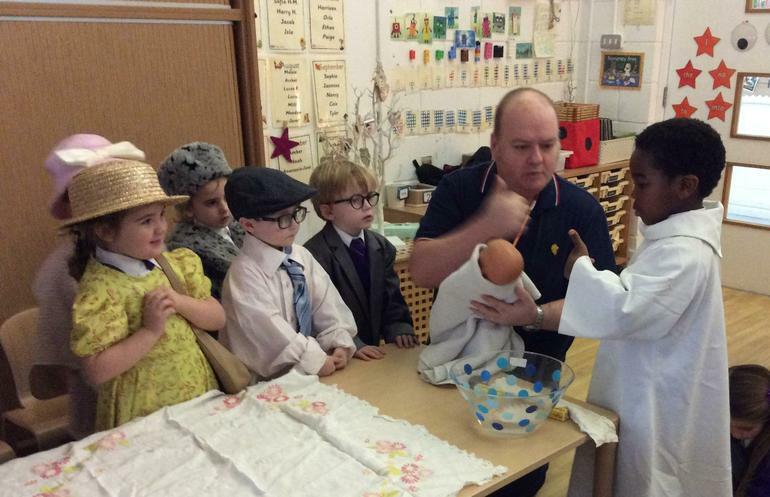 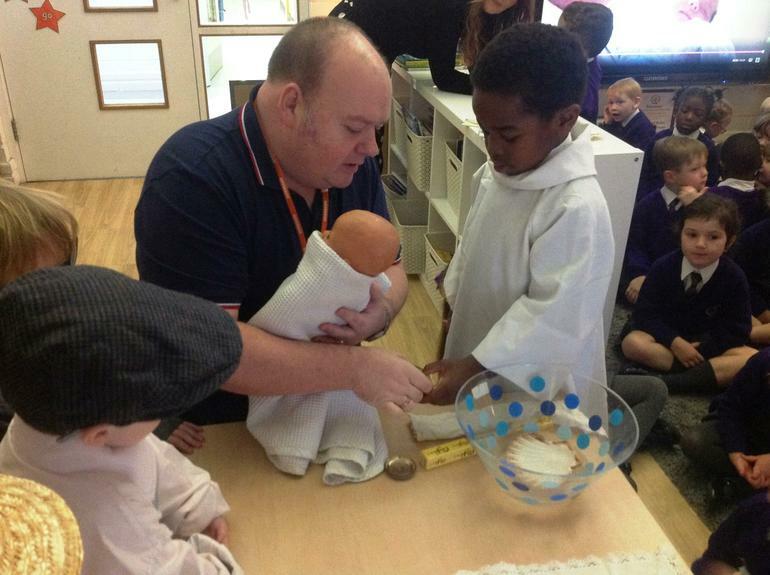 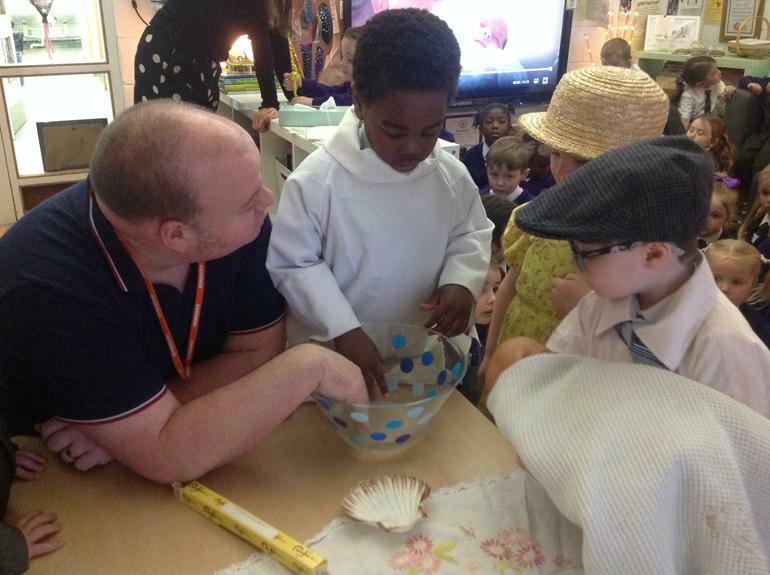 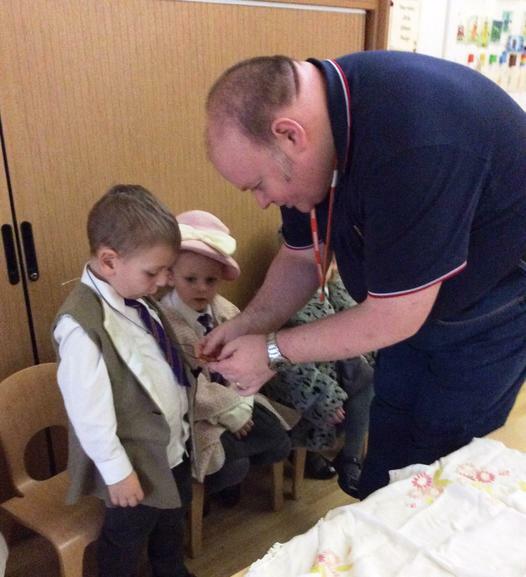 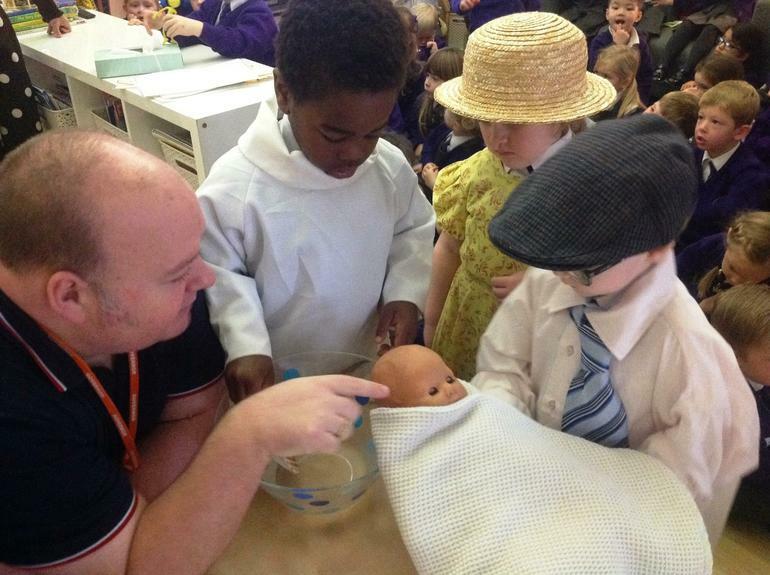 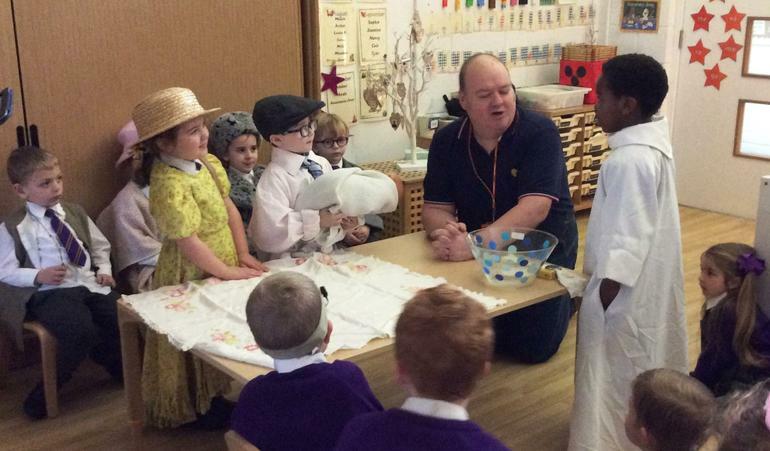 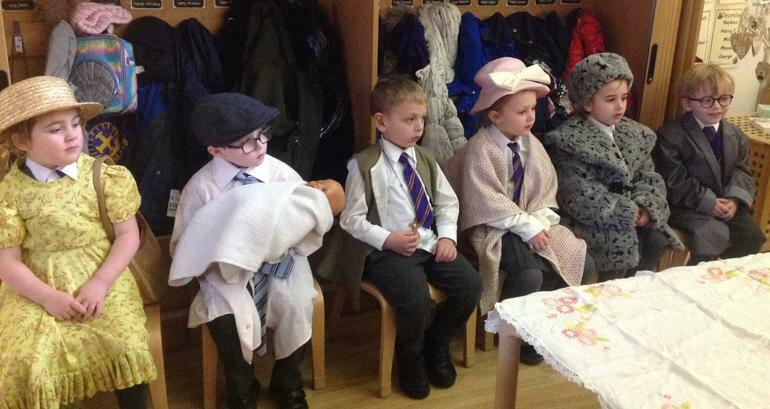 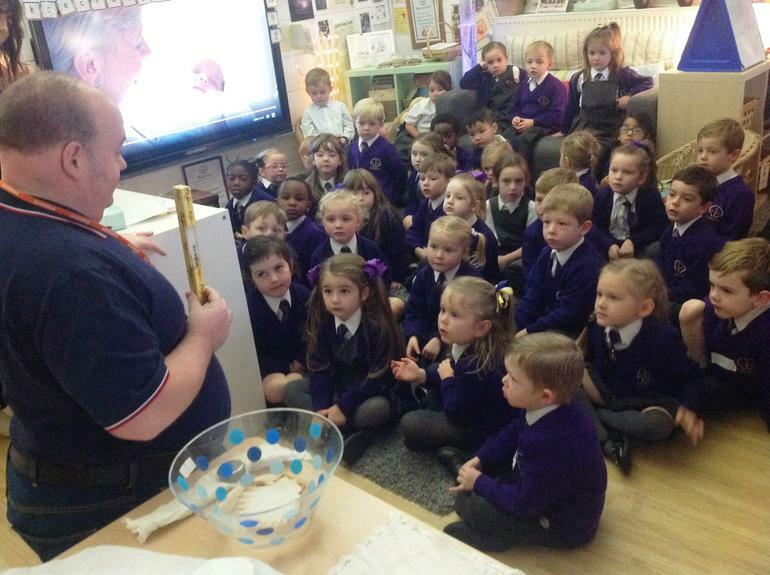 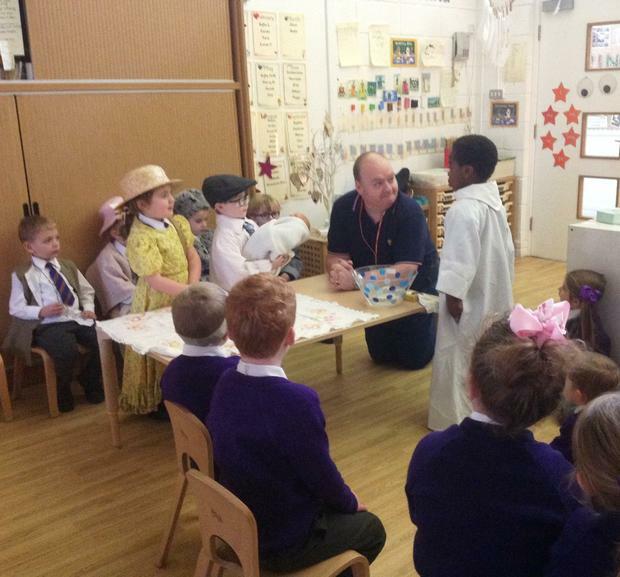 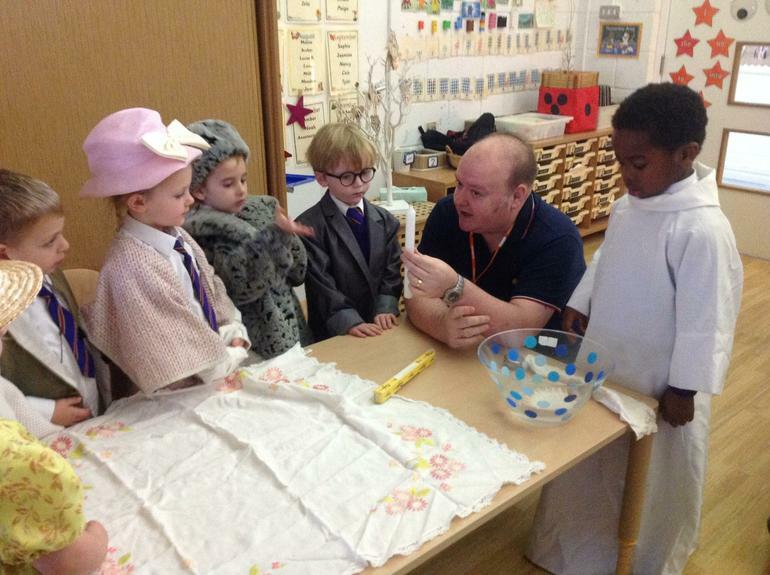 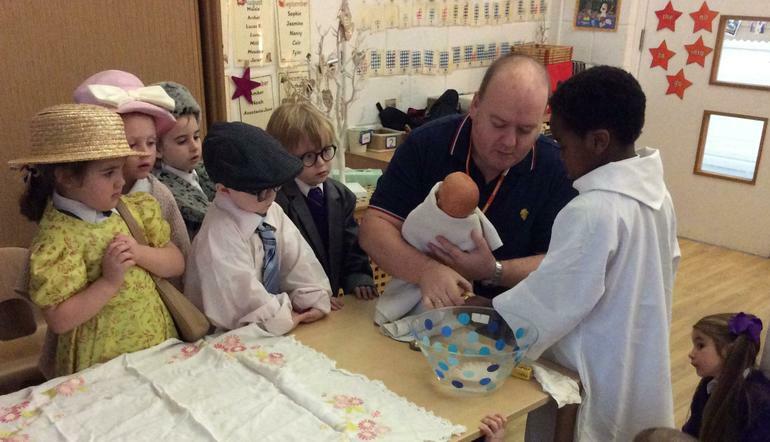 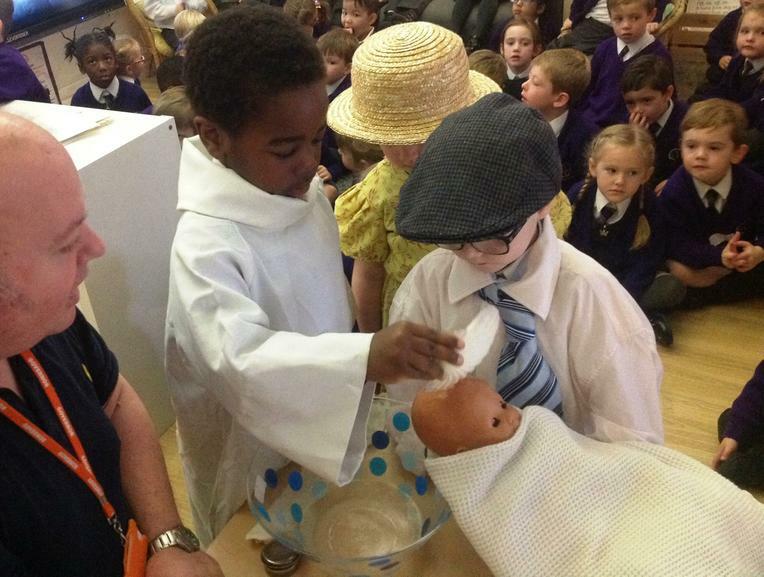 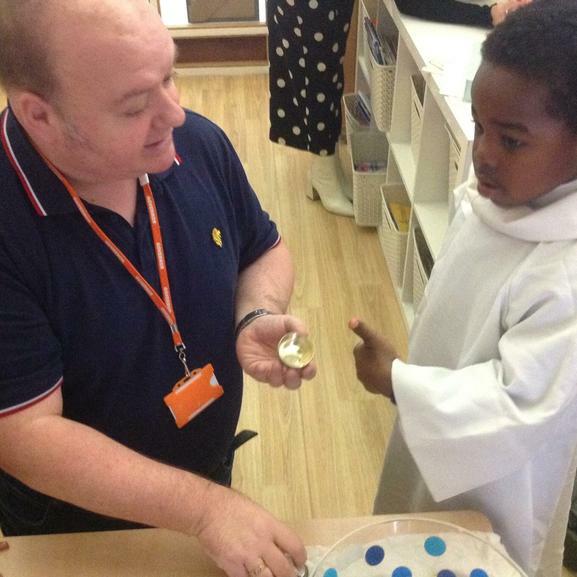 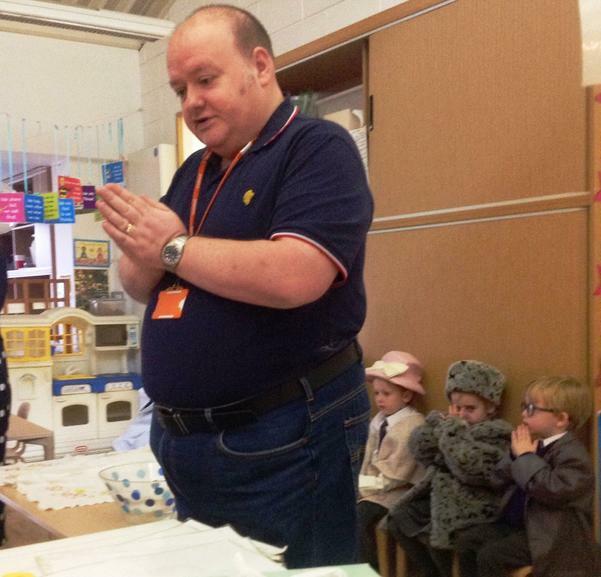 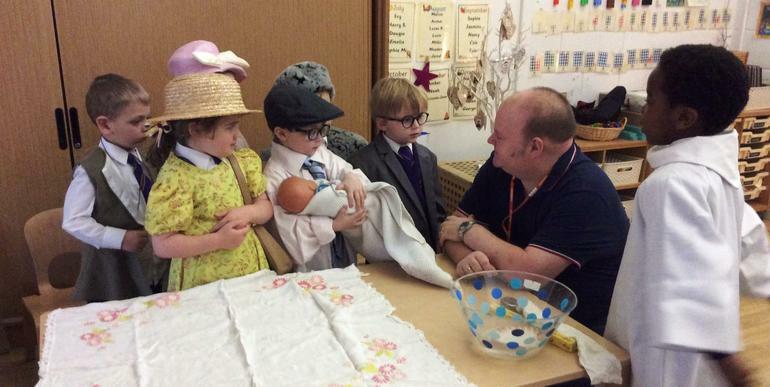 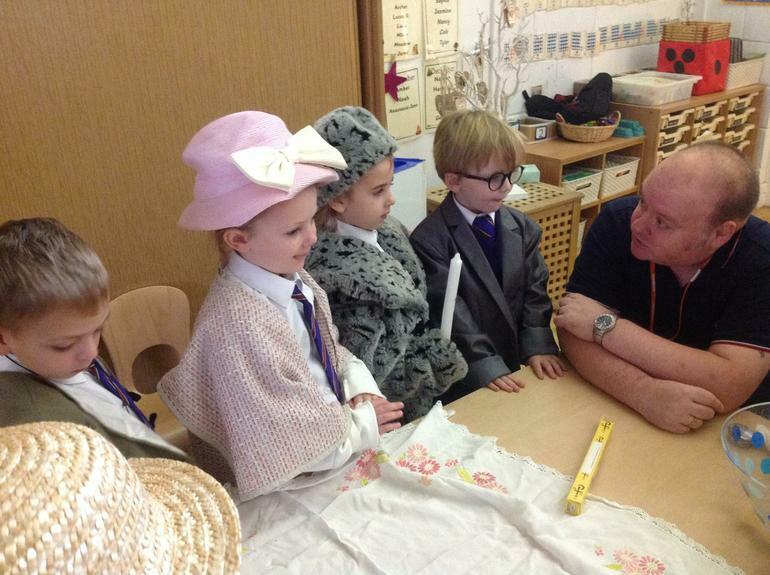 Some children took on the roles of priest, parents and godparents and Mr Housbey explained the special symbols of Baptism as we celebrated and made a special promise to help the baby live like Jesus as she grows. 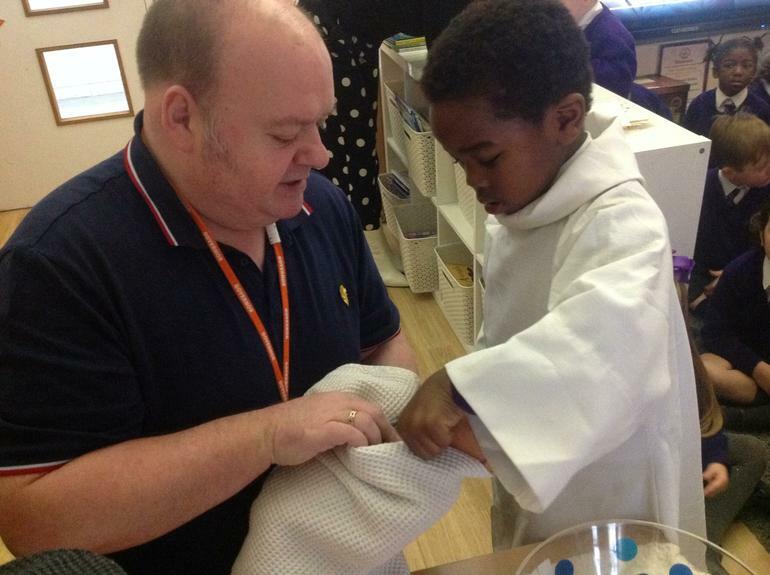 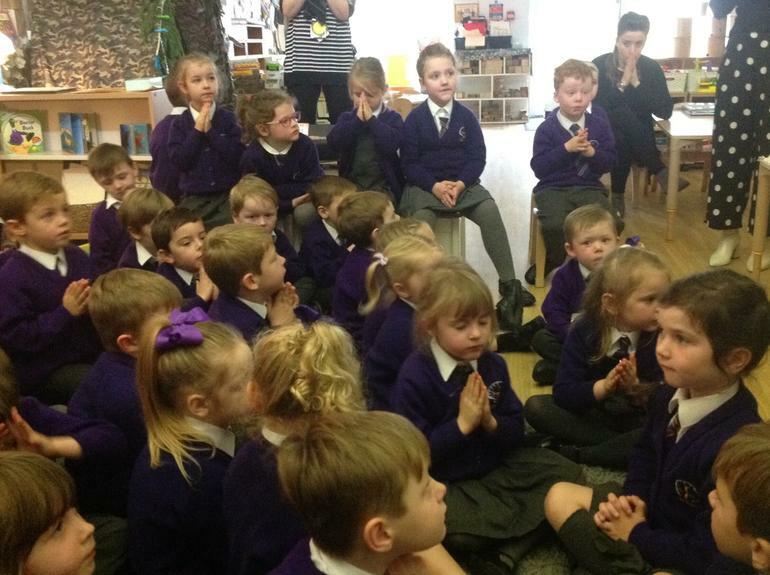 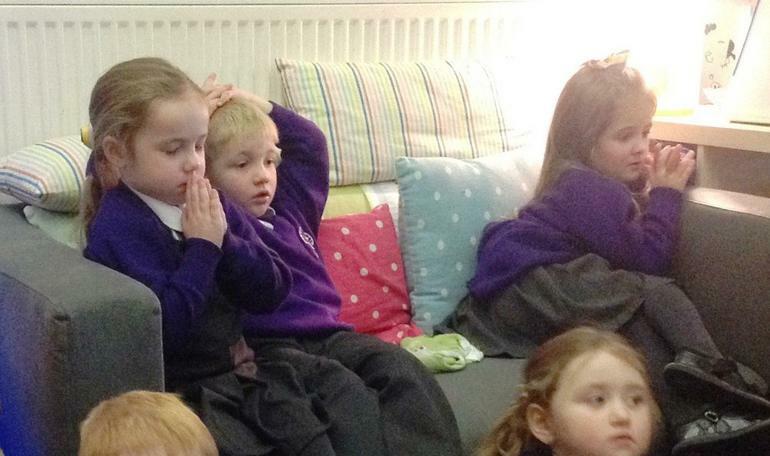 We prayed together and remembered that through our own Baptism, God loves us and knows us all by name.